Piers Torday shot into the limelight, deservedly so, for his first novel, The Last Wild, which started a trilogy that followed a young boy called Kester in his quest to save the last surviving animals on earth. It was an astounding book (and trilogy); Kester is in my top ten all-time children’s book characters. There May be a Castle also follows the quest of a young boy, but it is a completely different journey from that of Kester’s. Mouse, a fairly small eleven year old, is travelling with his mother and two sisters to his grandparents’ house on Christmas Eve. But the snow is falling fast, and visibility is bad, and the car goes off the road and crashes. When Mouse wakes up he’s in a strange world, with a talking horse who resembles his toy, and an accompanying sheep named Bar. He knows that he has to find his way to the castle, if there is a castle, but he’s not sure why, or what will happen if he finds it. Torday’s book is a paean to our amazing mind and to ceaseless imagination. Although on the surface this is a simple adventure story, appealing to children with its array of colourful and fantastical characters, from duelling knights out of Mouse’s computer games, to a somewhat sarcastic talking horse, a typically irritating singing minstrel and a brilliantly drawn size-changing dinosaur (reminiscent of Toy Story’s life-imbued toys), there are strong underlying themes, and an emotional poignancy and tension that’s more than gripping. Even before the crash, Mouse’s character is all about his mind. He’s a thinker, a worrier even. His size may be small, but his imagination is huge – Torday plays up this juxtaposition on purpose – Mouse’s imagination is bigger than he is – Mouse is much more than his physical body. Moreover, Torday is saying that our minds are more powerful than we realise. Mouse’s stamina – he is on a quest to seek help really – is propelled by the power of his imagination. He harnesses strength by projecting his real journey onto an imaginative quest. This is mirrored by his older sister, Violet. 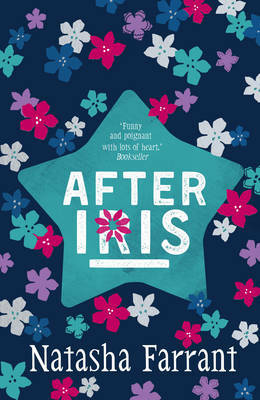 In the middle of Mouse’s imaginative landscape, the reader is drawn back to Violet – in intervening chapters – as she describes waking and seeing her mother and sister in the car, and using her physical prowess to detach herself from the seatbelt to attempt to keep her family physically safe (using the car heater, food, warm clothes). However, she too, uses imaginative play as power – she pretends to be a fierce historical lady pirate – a hero she has learnt about in school – and this make-believe gives her fortitude. From the beginning of the book, Torday drops clues as to what’s going to happen – the snow carpets the land, “just another block of white in a land of white”, so that once the car crashes, the reader knows that the rescue teams won’t find the car easily. It is up to the two children, Violet and Mouse, to get help. This frightening scenario (all too real in today’s automobile society) is brave territory for a children’s writer. It will resonate with those readers who are drilled into road-crossing, seatbelt-wearing safety, and is truly a tale for our time. The children are part of a generation who navigate the world with technology. Mouse and Violet refer to TV, the ipad, Instagram, the sat nav, apps, both for their entertainment and their way of life, but it is no surprise that Torday’s message is that for all of modern technology’s strengths, this story is about the power of nature – the snow that overturns the car – the power of the basic human elements of survival – seeking warmth, shelter, and food. These basics trump the technology that fails Mouse and Violet in the end – the Ipad smashes, the mobile phone has no signal, the car heater only lasts a short while. This book hits on many levels. It speaks to children in that it is a simple adventure story and it speaks to children, who like Mouse, don’t enjoy reading. Mouse prefers animation – the swipe of an Ipad to the stasis of a book, but then his daydreaming (his creative inner voice) takes over, and it is more real than any app. It’s the land a reader goes to in their head. But even more striking is that for much of the book our protagonist doesn’t seem to be in control, despite the adventures coming out of his imagination, formed from experiences in his game-playing world. Which makes the reader question whether our imaginations are controllable. To what extent do we control our own dreams, our own subconscious? This is daring territory for a children’s book. What’s more daring is its ending (which I won’t spoil) and its meditation on life and death. What is left behind when a person dies, where does the imagination go then? Children will appreciate the good writing here, the quest within the narrative, and the white-knuckle tension of surviving a car crash and being rescued. But as with all good books there is much more to explore, there is much more to think about – because imagination will take you everywhere. You can buy a copy of the book here. For age 10+ years. 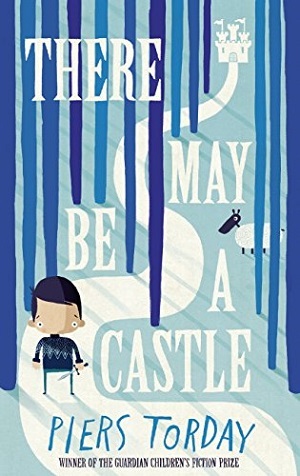 Please note this review was written after reading a proof copy of There May be a Castle and quotes may not be wholly reflective of the finished book. Amnesty’s poll for International Children’s Book Day revealed that half of parents surveyed think reading a book is the best way to develop empathy. (YouGov 53% of 964 parents, March 2016). But to evoke empathy a character has to be fully-fledged, fully-rounded – believable. The book doesn’t have to be ‘issue-based’ to achieve this. Amber Lee Dodd’s debut children’s book is about a girl whose mother has dwarfism. So it fits into the ‘issue’ and ‘diversity’ mould. But, actually, the book transcends this compartmentalisation, because the author has written her protagonist in quite an exceptional way. “I knew I shouldn’t have let people like you have this place.” He says to her. 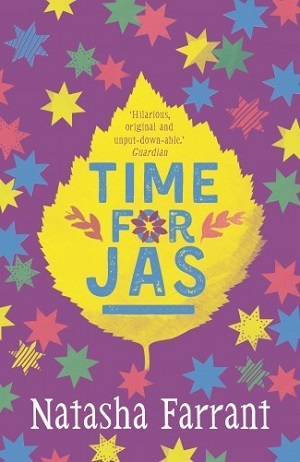 But essentially the book isn’t about dwarfism – partly because Sydney deals with her mum’s difference in such a matter-of-fact way that it doesn’t intrude the narrative. It’s about Sydney – a child coming to terms with change in her life. And Amber Lee Dodd handles this so well that the reader feels they are right inside Sydney’s head. That’s why the novel flies past at such pace – it’s so easy to read and quite gripping, because it’s like reading an email from a friend about her new struggles and experiences. Sydney has also suffered the death of her father at a young age, and so some of the book deals with her grief – as she retells stories she remembers that he told her, as well as thinking about what would have made him proud. Of course, the plot sings along too – there are some dramatic scenes with Sydney’s sister as she too tries to come to terms with their new circumstances, the mother’s frustration with her job, and lastly the grandmother – a wonderful character, who means well but doesn’t always fit to the primary family group! There is lots to talk about within the book and lots to like about it too. It doesn’t set out to be too complex, but tells a story by wholeheartedly bringing its characters to life. The story has giant heart – although of course, size doesn’t matter. You can buy it here. No information books about transport here, but three lively stories for newly independent readers. Each contains phenomenal illustrations, making these all easy transitions from picture books. This is a sparkling book, everything one could want for a young child starting to read, as it bursts with joy and magic and the silliness of fantasy lands where anything is possible. Wendy Meddour is the author of the quirky series Wendy Quill, as well as more recently, How the Library (Not the Prince) Saved Rapunzel, and she does have a wacky way of looking at things, which is a delight in a young children’s book. A gorgeous sibling relationship between older brother Leo and younger sister Ella develops throughout the story. The children have moved house and while the parents unpack, the siblings go exploring and discover a secret railway in the station workshop of their new station house. But of course it’s not just a disused train line, but a magical railway that leads to the Kingdom of Izzambard where Griselda, the Master Clockmaker, has stopped time. 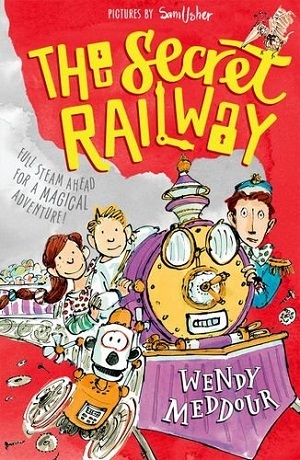 Riding the train in error, Ella and Leo are informed that they must return the magic magnifying glass to The Chief Snarkarian at The Great, Grand Library of the Snarks, and receive a key in return that will help them back to their own world. It’s as crazy as it sounds, but satisfyingly eventful and imaginative. 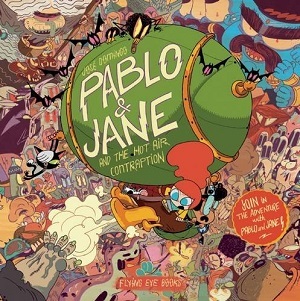 With swooping mechanical birds, butterfly spies, and a marketplace full of beavers reminiscent of the munchkins from The Wizard of Oz, this is a jam-packed story of wonder and adventure. For an early reader it bursts with action and non-stop fun. Each chapter is a different platform number, and the entire story is accentuated by Sam Usher’s now distinctive and endearing illustrations. 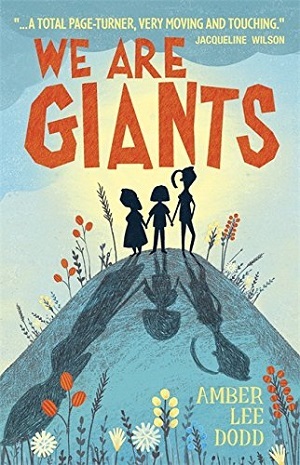 Usher draws the sort of children that you want to hug, and manages to make every scene seem three-dimensional – you could just step into the story. More to follow in The Secret Railway and the Crystal Caves in July 2016. You can chug along on the first Secret Railway here. 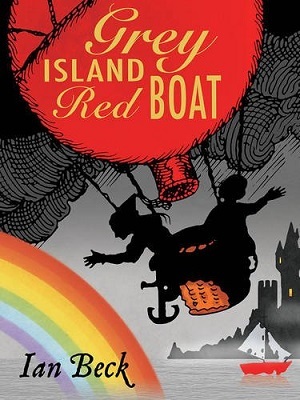 A Little Gem by name (from Barrington Stoke’s Early Reader series) and a little gem by nature, Ian Beck writes a story that makes you want to sink back into a comfortable chair and be sailed away into the magic. He tells a modern day fairy tale with his own illustrations punctuating the text, and has dedicated it to his grandson. It’s exactly the tale you would imagine a grandparent telling a grandchild. A princess lives with her father, the King, on the Island of Ashes. As the reader may expect from the name, everything on the island is grey. The sea, the sky, the land. The black and white illustrations convey this too. It rains all the time, and the month is always November. The princess feels that something is missing, and the tone of the text is muted, sad and withdrawn. Then one day a small boat washes up on the island – and there’s something different about it. It’s red. Before long the stranger aboard has disembarked and is colouring the world with every touch of his hand. Some people are bewitched by this – the Princess and others feel “tickled” by it. But the King fears change, and takes action to prevent it, although change proves inevitable. Ian Beck brilliantly captures the rhythm of a fairy tale or legend, as well as an underlying depth beneath the simple story. Reading the book was like feeling a warmth spread across one’s body. Children will adore the gradual introduction of colour into the illustrated landscapes, and the perfectly easy descriptions of the feelings colour gives the people on the island. Adults will see the depth of the message. You can buy it here. Sometimes I feel reluctant to review ‘celeb’ books on the blog, knowing that they will probably gain a huge audience in the wider press anyway. But the publishers have paired Hoy with children’s author Joanna Nadin quite brilliantly, and the result is a hugely entertaining story. Fergus desperately wants a Sullivan Swift for his ninth birthday. A stupendous bike with “24 gears, hydraulic brakes and state of the art suspension.” When he receives a rusty old second hand bike, he’s a little disappointed. Until he discovers something magical happens when he rides it in the right way. The story whisks the reader into a fantasyland, complete with a princess (who wears mismatched welly boots), a Swamp of Certain Death, and some rather ridiculous rules. Clare Elsom’s illustrations deserve great credit. The book is jam-packed with them, and each is as funny and madcap as the text. The princess in particular, with her dishevelled hair and wonky eyes, is a sight to behold. There are also two maps at the beginning. But despite cramming this slim little early reader with oodles of fun and endless adventures, there are still some great messages within. 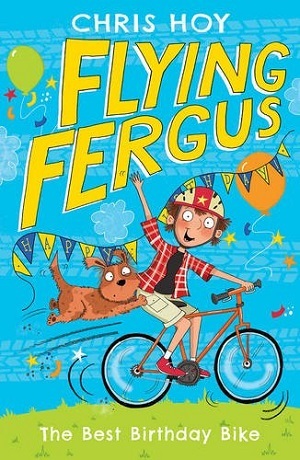 Fergus has a heart-warming relationship with his grandfather, who is endlessly encouraging about Fergus’s ambition to win a cycle race. But he firmly believes that it’s not about luck – it’s about hard graft. There is also some poignancy within the story as Fergus’ father has been missing from his life for nine years and Fergus still dreams of finding him and making his father proud. 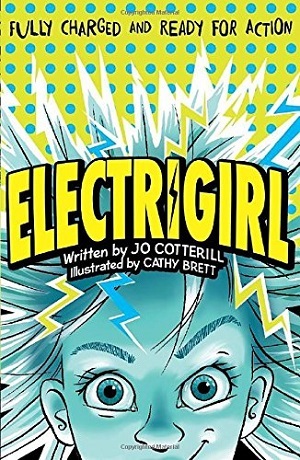 There are so many facets to this book that each child will be able to extract their own enjoyment – whether it be fantasy, the reality of the bullies, a missing father, a princess, or simply ambitions and dreams. A good start to the series. Pedal your way to your copy here. The source of so much angst and so much delight. So much has been written about siblings, probably because children under 11 spend more time with their siblings than with anyone else. Research has been done into how one’s placement in a family affects health, opportunities, intelligence – of course being the youngest I’m sure that makes me the best (sibling are you reading this?). What’s for sure though, is that having a sibling affects you in some way, so it’s best to have a picture book on hand to help navigate children through the chopping waters of sibling rivalry. 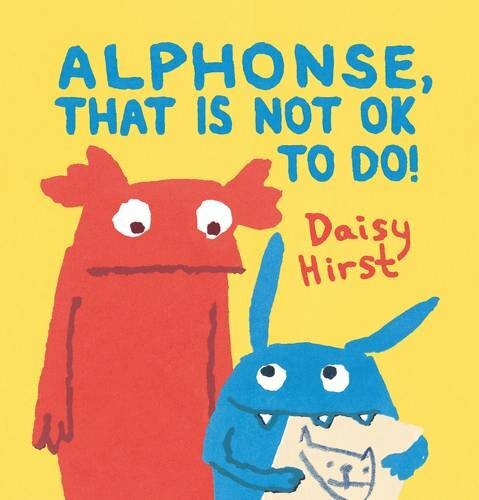 Alphonse, That is Not Ok to Do by Daisy Hirst (creator of the much acclaimed The Girl with the Parrot on her Head) was published this month, and has a stand-out brightly coloured cover. The siblings in question are friendly endearing monsters (in look, not necessarily behaviour). Natalie starts out alone – as all older siblings do, revelling in the undivided attention she receives from her parents (represented by two hands she is holding), but then inevitably along comes a sibling (in this case, Alphonse – a blue monster in a buggy, looking already incredibly cheeky). The reader will expect Natalie to feel glum about this – indeed she is pictured as such, but actually the text reveals that most of the time she doesn’t mind. Then of course, Alphonse does things that are “Not OK to Do” to Natalie’s things, and Alphonse isn’t so welcome. The ending is uplifting – showing Natalie’s care and protection for her little sibling, and good emotional understanding of his level of ability, and what they can do together. It’s a clever illustration of how siblings are with each other, and the emotions they feel. What’s more the book is delightfully coloured mainly in the three primary colours, with fairly childish warm-looking illustrations (although sophisticatedly implying much more than the text), which makes the book very child-friendly. Purchase it here. 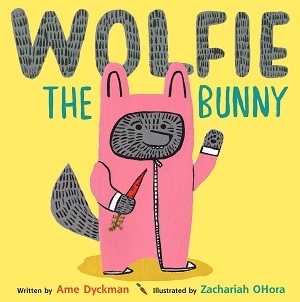 Wolfie the Bunny by Ame Dyckman and illustrated by Zachariah Ohora was also published very recently, but unlike the universal feel of the monsters in Alphonse, this is a truly American tale. And certainly quirky. The cute Bunny family return to their New York home to discover a bundle left outside their door. The parents fall in love with the baby ‘Wolfie’, but older child Dot is terrified that “He’s going to eat us all up”. The reader immediately empathises with Dot, and realises that yes, wolves do tend to eat rabbits. Dot isn’t convinced even when Wolfie starts to venerate Dot, by following and dribbling on her, and she remains frustrated that her parents don’t listen despite his growing size. When Dot and Wolfie bump into an even larger predator at the co-op, things take a surprising turn, and Dot learns to accept her ‘little’ brother. 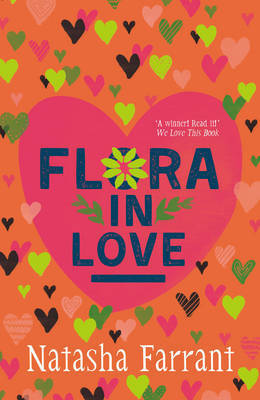 With thick acrylics in muted pinks, mustards and greens, this is a very different book visually. It feels retro – the featured cameras certainly look so, although this is hipster New York where vintage is all the rage – and the clothes of the characters also old-school, and yet it feels modern in tone. It answers all the emotions on new siblings – their ability to change the family dynamic, the animalistic tendencies of drooling babies, the attention lavished upon them by the parents – and yet remains distinctive and leftfield. You can buy it here. If you’re looking for something far more traditional in tone and illustration, then Aren’t You Lucky! 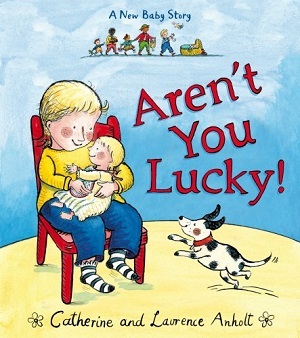 by Catherine and Laurence Anholt, well-trusted authors on families, will do the trick. 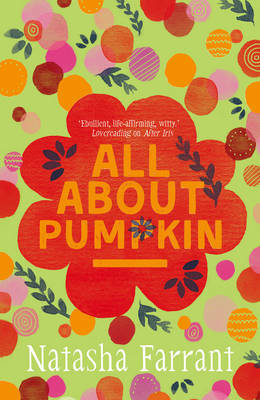 This has a beautiful colour palate with incredibly detailed pictures of family life, which really give the reader the opportunity to linger. There is initially “just Mummy and Daddy and me”, me being a female pre-schooler. The time of pregnancy is documented over double pages in small illustrations of each month – so that children can track the changes in weather and settings through the seasons. This is a portrayal of a happy family and a happy childhood. When baby brother comes along, the child is told “Aren’t you lucky!” but she is not so sure. As in the books above, the emotions are set out – the pre-schooler feels neglected for attention, wants to be the baby again, and doesn’t understand the simplicity of a baby’s needs and desires. There’s a simplistic but beautiful twist to the text of “Aren’t you lucky!” at the end, as the pre-schooler accepts her baby brother, particularly as he grows. For me, the familiarity and reassurance of the illustrations wins the day. Re-published recently with updated cover. You can purchase it here. 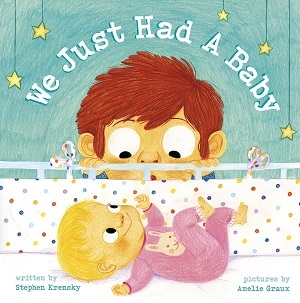 We Just Had a Baby by Stephen Krensky, illustrations by Amelie Graux wins in the humour awards. It portrays the older sibling (this time a boy) as frustrated and irritated by the new arrival – by how long she has taken to arrive, by her size, by the attention she gets (notice a familiar theme!). But the faces in this book are exquisite – the expressions the mother’s friends pull when they look at the baby – the baby’s stare at her toy…and the little boy’s face as he practises both smiling and frowning at the baby and the responses they elicit. “We both have ten fingers and ten toes. I counted to make sure. It’s cute, and quite adorable, and would be on my list if I were doing the baby thing all over again. If you are, pre-order it here. This baby will be born very soon!